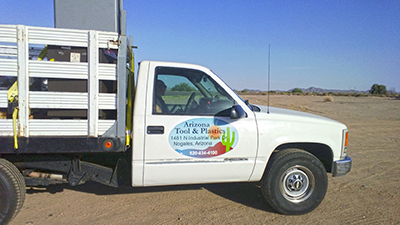 We at Arizona Tool & Plastics offer in-house visits to help analyze and diagnose your mold/molding conditions. 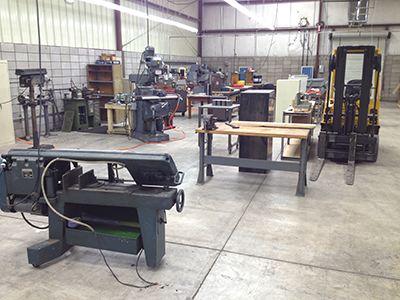 We can also pick up and bring to our facility your molds for analysis as well, using our 1 ton flatbed truck. Or you can deliver to us via semi-truck to our dock height door. 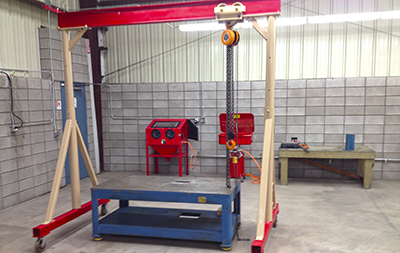 Once in our facility we can open molds with our 2 ton gantry, and disassemble on our steel table. Upon opening mold we will document items we notice both related to your issues and possibly other items that you may not have noticed requiring maintenance/repair. As we disassemble mold(s) we will document and store each component to ensure proper re-assembly of mold. Once we have determined root cause of molding issues we will propose in writing both quick/short term remedy and typically, a long term remedy! We will always endeavor to work within you timing and budget when proposing solutions, however we will always strongly propose the best practice/long term solution based on our over 30 years’ experience in the mold/molding industry. Based on the diagnosis, we will provide for you in writing a summary report and corresponding quotation for your approval and will wait for your Purchase Order before proceeding.